Lets talk about reception venues, so you're planning a destination wedding and you want ease for your guests but also want a super awesome wedding venue. Set in 9 hectares of stunning natural bushland, RACV Noosa Resort is a hidden gem. From intimate gatherings to a large lavish affair they cater for all. You can enjoy the simplicity and convenience of having your ceremony, reception and accommodation all within the one beautiful location. 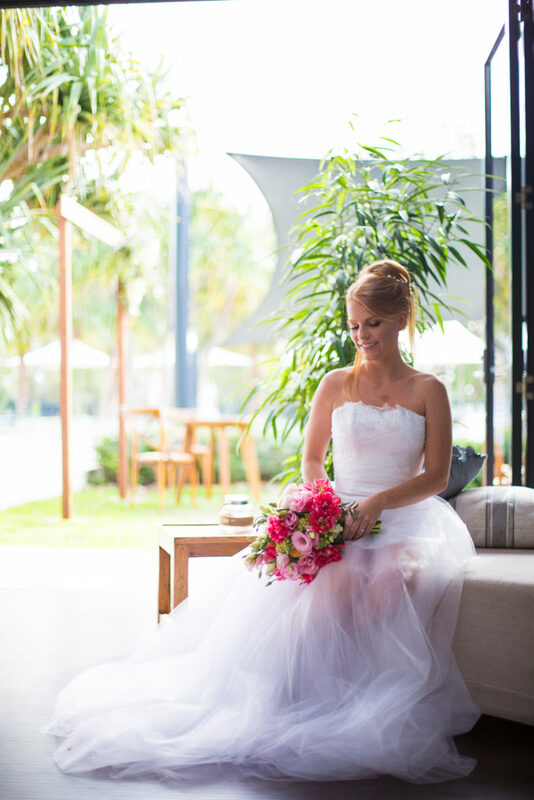 Exchange your vows within the manicured gardens and sanctuary bushland backdrop, or the private undercover terrace. Their wedding packages are designed with you in mind, working with their on site dedicated wedding coordinator; you can create a package that suits your needs and wants. 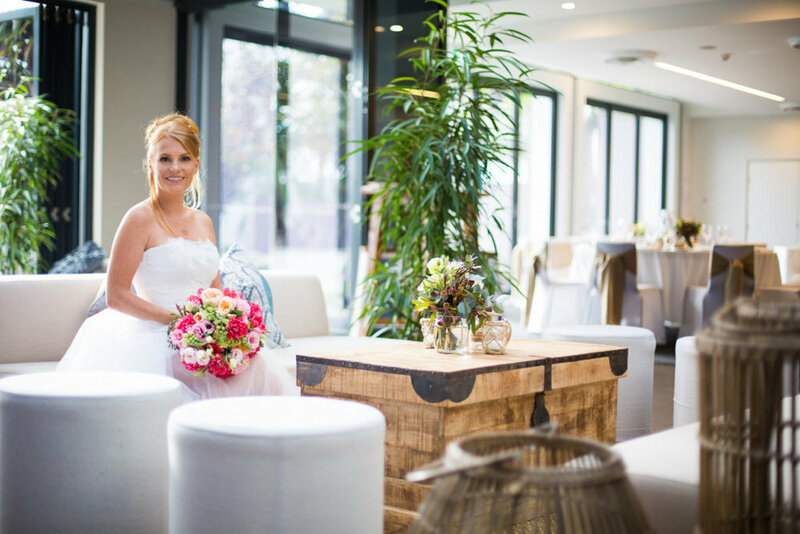 Splash Events is one of the biggest styling companies on the coast and take a refreshingly contemporary approach to styling and decorating, whether its boho beach or classy and elegant, Nicole and her team can create everything you envisage. 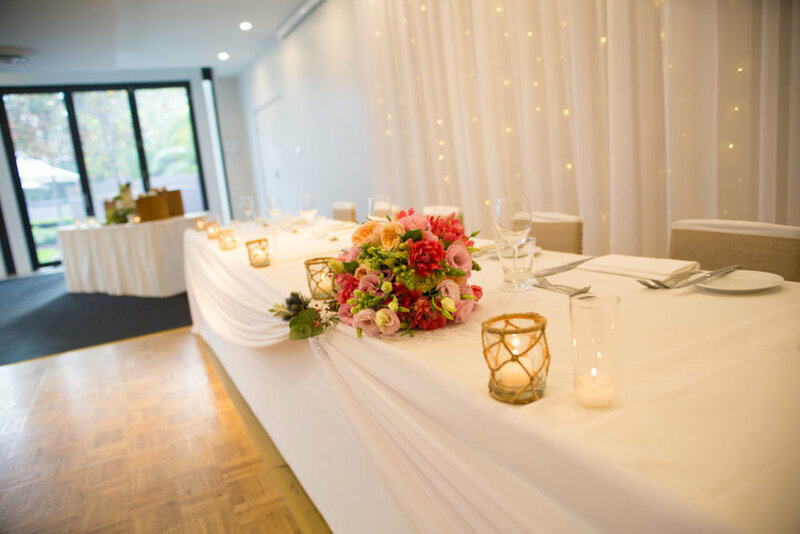 They pride themselves on offering a service that is backed up by years of industry experience and expertise that is nothing short of extraordinary- they work closely with RACV Noosa Resort for all your styling needs. 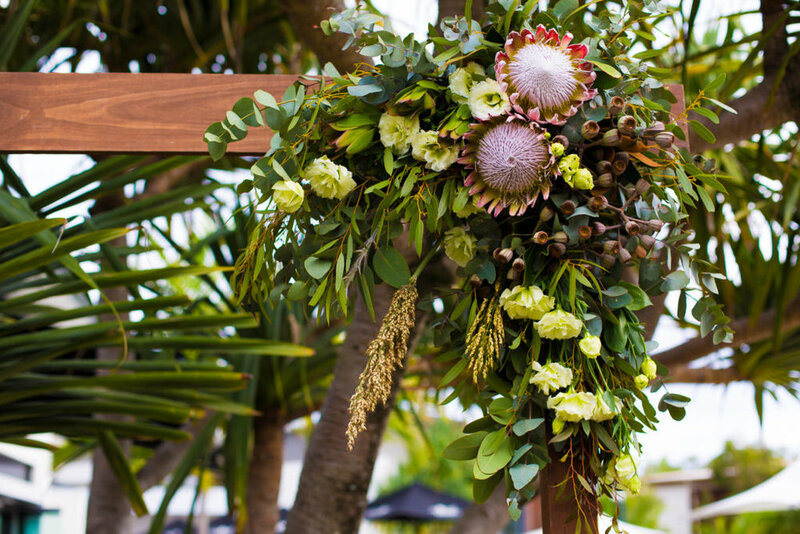 Flowers add a very special touch, whether they are simple foliage or elaborate bouquets Blooms Noosa can assist with your flower arrangements and source the most amazing blooms for your Noosa wedding. 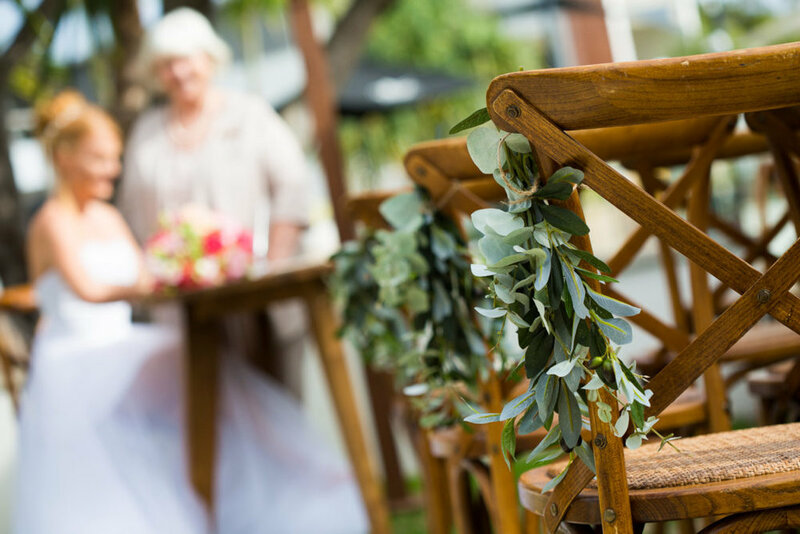 Choosing the perfect celebrant is an important job- so research well, here is some information on a few of our favourite Noosa celebrants. 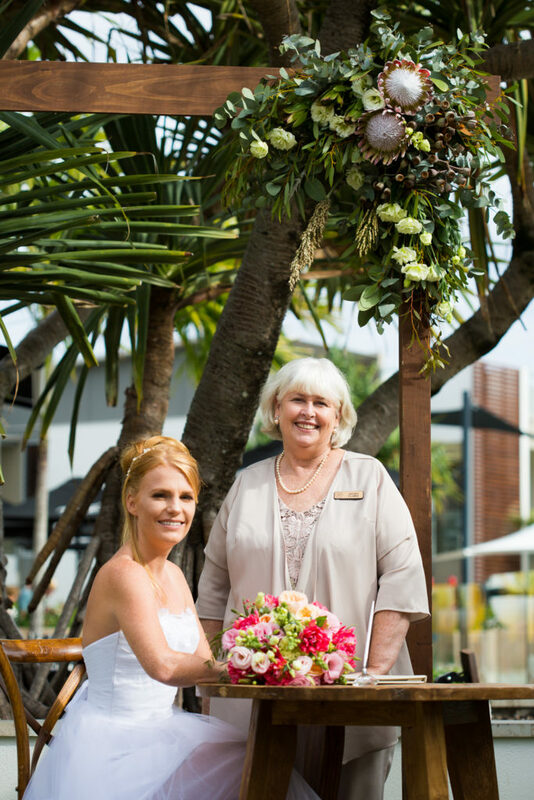 Lorna Gibbs is one of the many celebrants here in Noosa and makes every effort to get to know you and your story to ensure she delivers a heartfelt and personalised ceremony which reflects you as a couple as well as complements your individual personalities. Jacqui Clarke's ceremonies are about adapting to you and what you want your ceremony to be about, whether that be sophisticated or light hearted, Jacqui's husband is also involved and looks after all the PA on the day (one less thing for you as a couple to think about). Now lets skip along to the big day and think about all the MUST HAVES- every great reception must have flowing alcohol, superb food and the most amazing cake and desserts and not necessarily in that order. Sweet P cakes and cookies specialises in handmade cakes, cookies and gourmet donuts- YUM!!! 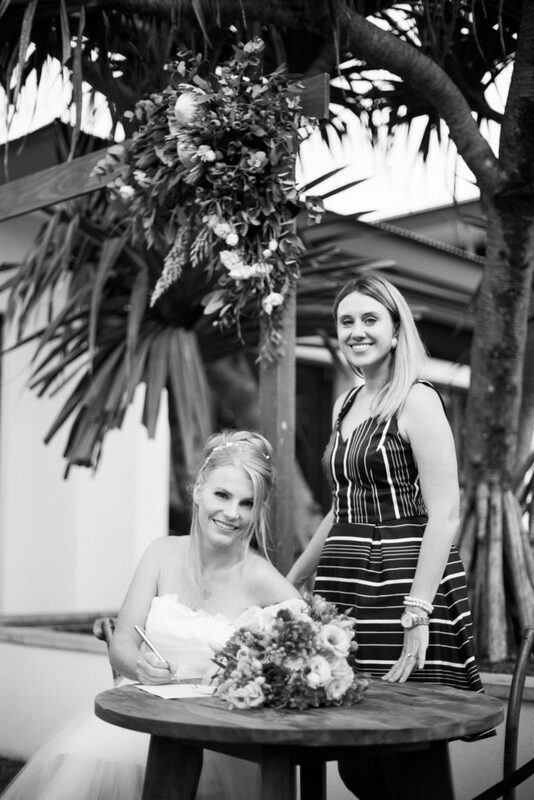 Now to capture all these special moments you need a superb photographer who is able to supply you with the best memories of one of the most special days in your lives- YOUR NOOSA WEDDING! Sonia Wrethman Fine Photography provides the finest attention to detail and has a passion for catching those truly beautiful moments on your wedding day.